Apr - 03 | By: Corey Warning | no comments. 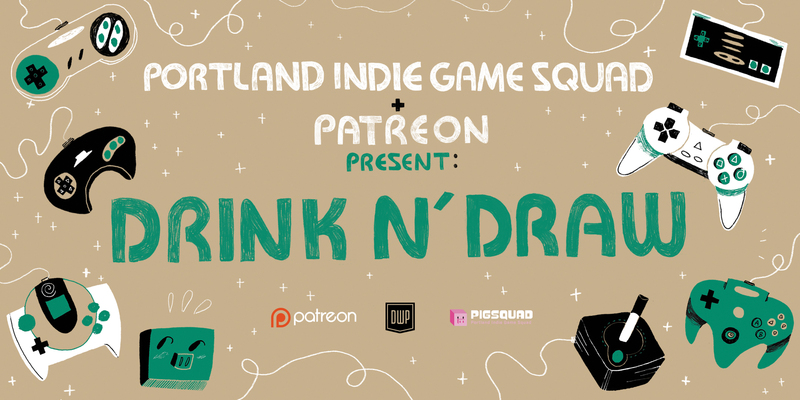 PIGSquad and Patreon have joined forces to host an evening of locally-made games and art! Games will be open for everyone to play, and we invite artists to come draw fan art of the games on display. All artists (or non-artists!) are welcome to make game-inspired art. Along with the 20 local indie games, we’ll have Virtual Reality stations, including Tilt Brush! For those of you who are up to the challenge, we’re bringing back Art Battles with Jolby: a competition of lightning round artwork creation over the course of 15 minutes! The featured game developers will pick their favorite piece and the chosen artist wins a special prize. Art Battles are optional – everyone is welcome to just come and play! Patreon is a membership platform that makes it easy for artists and creators to get paid. If you’re considering launching a page or have a page, their team will be hanging out in the lounge to answer questions and review pages. They’ll be giving away goodies to launched Patreon creators, too! Please RSVP on Eventbrite. Tickets are free and required at the door. This is an all ages event!